Mullions over plain glass doors will give you a window through which to view antiques displayed in your Amish handmade Elisee Shaker Corner Hutch. This lovely Elisee Shaker Corner Hutch is an excellent way to display china or other collectibles. 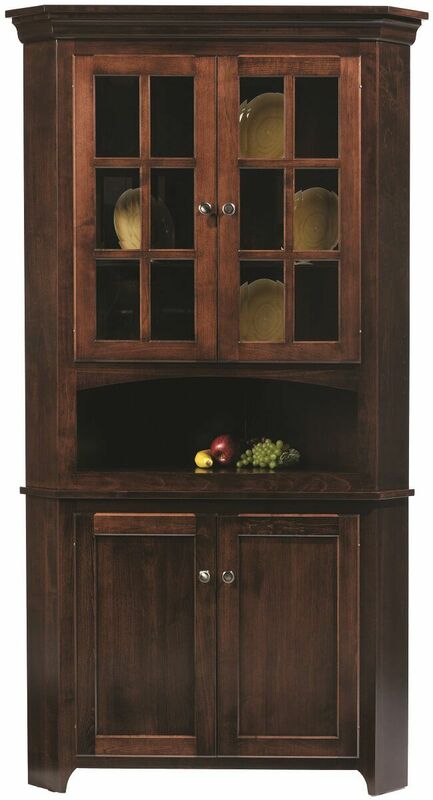 Built out of solid hardwoods, your made-to-order corner hutch will last a lifetime. Dovetailed drawers, mortise and tenon joinery, and numerous custom options ensure your heirloom quality corner hutch will be one of a kind. Standard features also include concealed door hinges, touch controlled lighting, and adjustable hardwood buffet shelves. 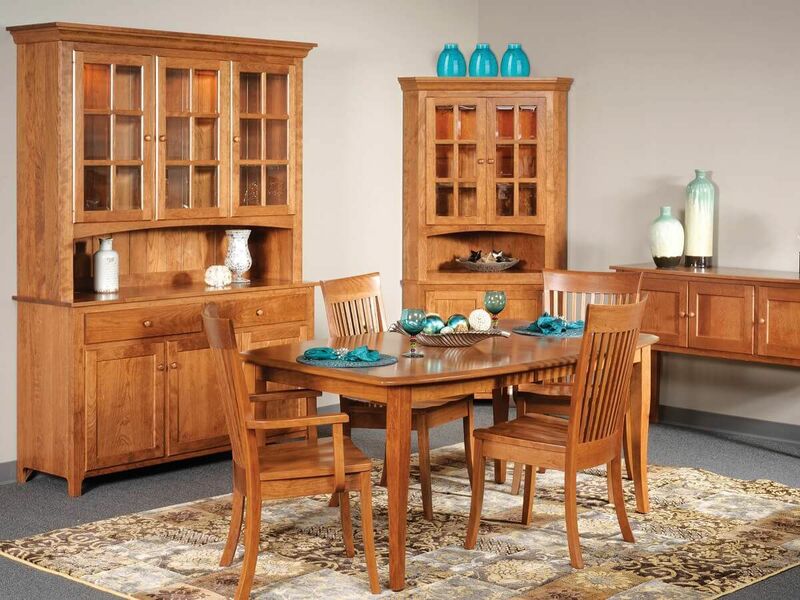 Design your Elisee Shaker Corner Hutch by completing our online Create Your Piece menu. 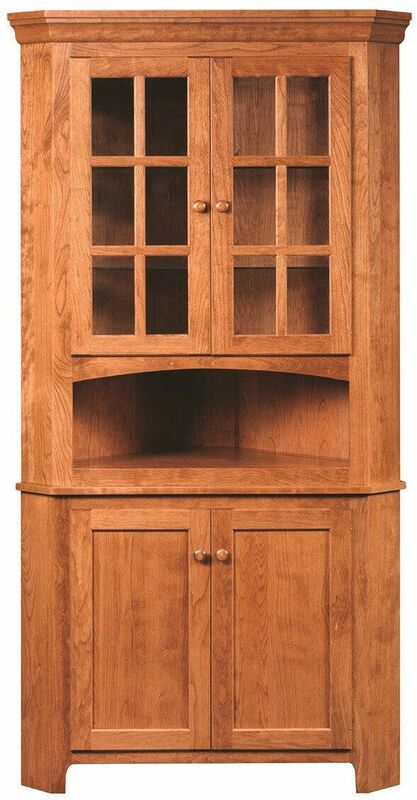 Shown in Brown Maple and classic Oak, the corner hutch can also be built in Rustic Cherry, Cherry, Quartersawn White Oak, or Maple. Height of Open Counter: 9 1/2"